Middle School PE meets four times a week for 50 minutes classes. 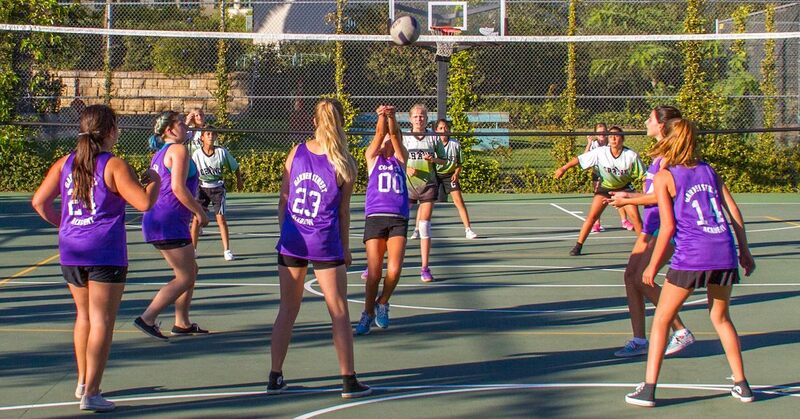 They participate in a wide range of athletics on the court and the field including basketball, volleyball, hockey, flag football, soccer and ultimate frisbee. Most Middle School students are involved in some sort of sports program, so PE activities are often built around the current sports, building and expanding on skills learned during practices. We have a very large focus on what it means to play with good sportsmanship, and this is incorporated in everything that we do. Garden Street Academy is one of ten member schools that participate in the Christian Athletic League after-school sports program. Boys and girls in grades 6-8 are eligible to play basketball, flag football, soccer, track and volleyball. The fall season begins in September for girls volleyball and boys soccer for 6-8 students. The winter season begins in mid-November and features boys basketball and girls soccer. The spring season of sport starts around February with boys volleyball and girls basketball. In late April and May, schools field a coed flag football team to finish out the school year. Each season of sport culminates with a league tournament over a 3-4 day period. Students in the 6-8 division generally practice on Mondays, Tuesdays and Thursdays from 3:30-4:45 at our Garden Street courts or field. Games are held on Tuesdays and Thursdays beginning at 3:45. Facilities for athletics include a high school regulation soccer field, two full-court basketball courts with adjustable rims, a hard court volleyball area, a grass volleyball court, a baseball/softball backstop and a modern climbing play structure. 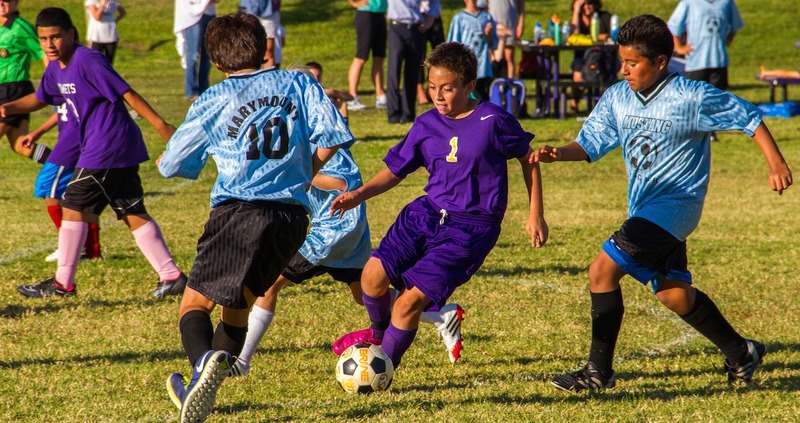 Lower and Middle School PE also focuses on three thematic units: soccer, hockey and lacrosse. Strategies are similar in all three sports; learning how to move the ball or puck to open space, moving one’s body to open space, and passing backwards which opens up the defense and creates more space for offense. In soccer, the students will work on dribbling, shooting, passing and throw-ins as well as taking turns as the goaltender. In hockey, students will learn how to hold the stick properly with two hands, puck handling, passing and shooting. The lacrosse unit will be similar to the hockey unit, except that it’s played on the field like soccer, yet uses a stick like hockey. Scooping the ball off the ground is an essential skill in lacrosse as well as keeping the ball in the basket while moving.